I don’t take a lot of commission work mostly due to the time it takes to do a portrait — and so I also don’t necessarily want to draw certain pictures people want me to do. But this one was pretty interesting. 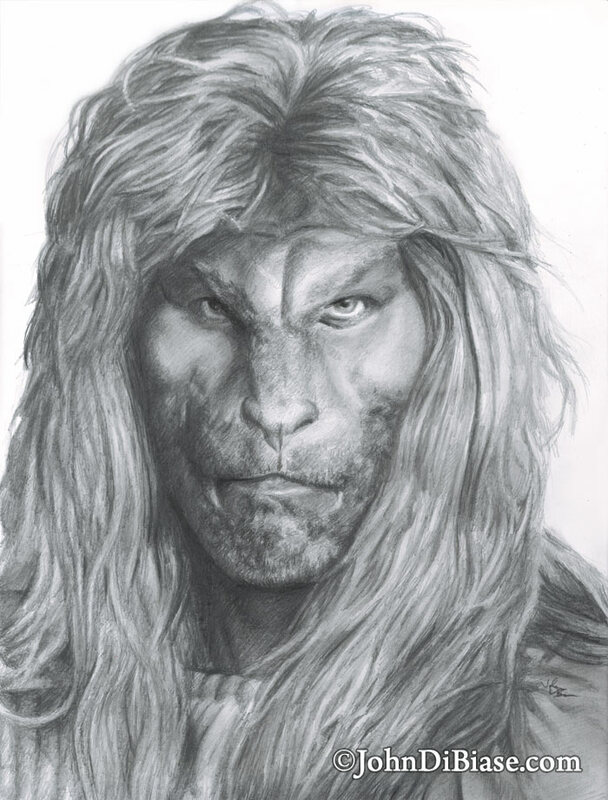 I remember my mom being into “Beauty and the Beast,” the 80s TV show when I was a kid. This is actor Ron Perlman (Hellboy) as Vincent. This was 100% graphite pencil on smooth, 9×12 bristol paper.